“stakeholder” meetings should be centrally located and convenient for “stakeholders” right? A reporter asked me what happened to the link for the Chester County Planning Commission’s survey in advance of the soon to be new and glorious Landscapes3, an Exercise in Resident Futility. Because the original link does NOT work anymore. Great planning: they send out a link ask all their contacts to distribute within their communities and then they change it. Or make it go away. Of course I have no answer what happened to all of the answers of people who already completed the survey, do you? Developed to gather stakeholder opinions on specific topical areas, these surveys are also being made available to the public. Targeted to representatives of organizations active in the topical areas, interested individuals are welcome to complete these surveys as they become available. A series of stakeholder meetings will be held to identify issues and challenges facing Chester County over the next ten years. Experts will meet under the following topics: preservation, agriculture, housing, utilities and infrastructure, transportation, economic development, and community health. The public is invited to attend and observe these meetings. Click here to view meeting schedule. How many of my photos of farms and historic houses would they like to see? In the middle of the afternoon, in Coatesville? Seriously? Hello people work, pick kids up from school/sports, have farms and businesses to tend, and so on. 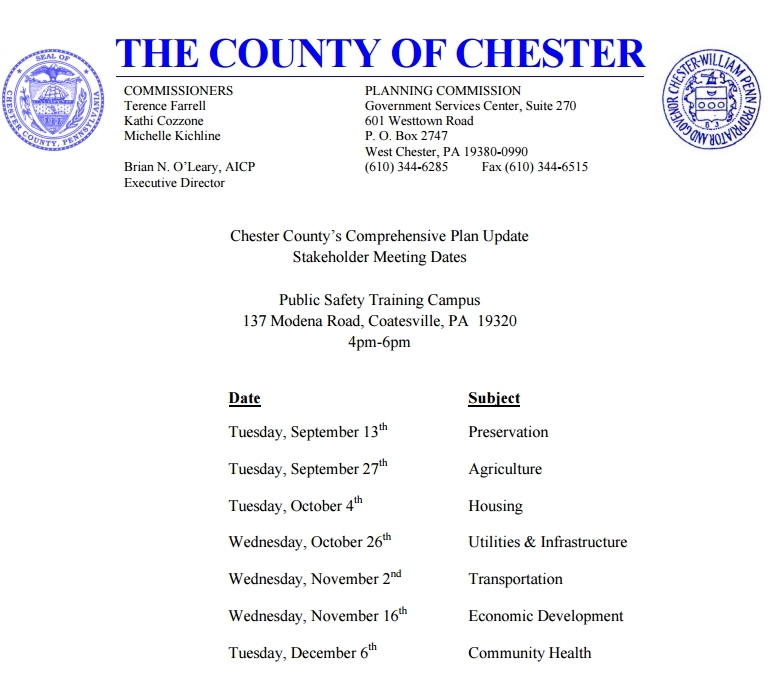 But no, Chester County’s idea of most opportune time to schedule these meetings is in a place not quite ideally located and at times inconvenient for the majority of people living int the real world. Common sense would dictate if they were REALLY interested in what people who live here and pay taxes (as opposed to the carpetbagger Executive Director of Chester County Planning Department Brian O’Leary), they would have chosen a location like West Chester, or done a series of traveling meetings and maybe holding them in school auditoriums or something. This is not an auspicious beginning to a long process that is supposed to matter, Chester County. And no, Brian O’Leary I am not going to stop mentioning you are not a Chester County resident and come from a uniquely pro-development township (Lower Merion Township) where I don’t think you listened much at all to residents while on the Planning Commission there, arranged for political pasty “planning” awards be given to politicians who weren’t planners except in the landscape sense of the word, and were employed by Montgomery County which as a whole has been decimated by development in part. Our chief planner should be one of us. I find it hard to believe that no such qualified planners exist in Chester County. Carpe Diem, Chester County Residents. I know many of you care. Speak up. 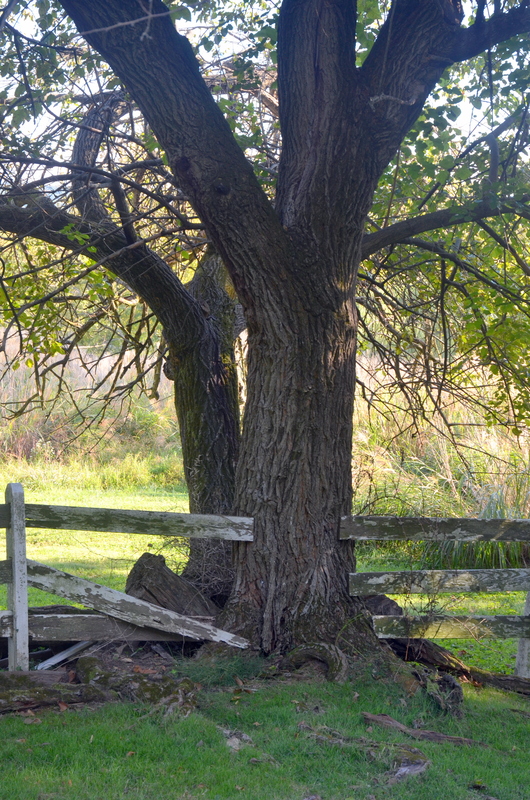 Please…before all the open space, farmland, and history is gone. This county has a unique history, and it is very much at risk. This entry was posted in development, government, historic preservation, Politics and tagged #SlowDownChesterCountyPADevelopment, brian o'leary, chester county planning commission, landscapes3, liz rogan, lower merion township by carla. Bookmark the permalink.